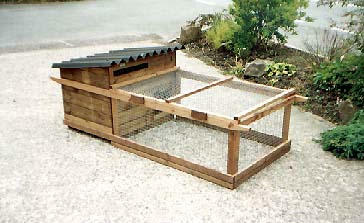 I have given two examples of ideal housing for adult coturnix quail, you can see them on this page. Quail are also well at home in an aviary you must remember though that they should have a housed area so they can get out of the wind, rain and strong sunlight. The housing needs to be fully enclosed as quail fly and foxes dig !! Protection from cats, dogs, rats and predatory birds is essential.